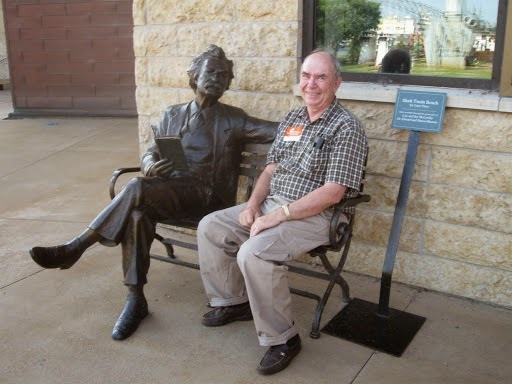 On our recent bus trip to North Dakota we made a stop in Alexandria, Minnesota. Alexandria is a county seat and has a museum which contains the famous or is it infamous Kensington Runestone. 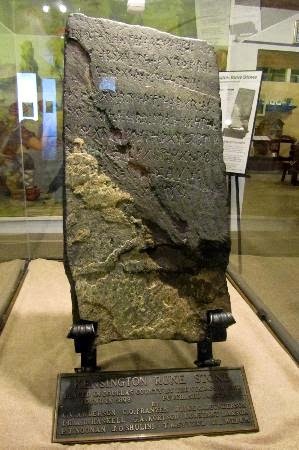 The Runestone is a 200-pound slab of greywacke covered in runes on its face and side that supporters claim is evidence that Scandinavian explorers reached the middle of North America in the 14th century, although experts identify it as a 19th-century hoax. The stone was found by as local farmer in 1898 in the largely rural township of Solem, Douglas County, Minnesota, and named after the nearest settlement, Kensington. 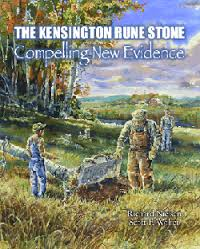 Scientists and experts in Scandinavian linguistics consider the Runestone to be a fake. The Runestone has been analyzed and dismissed repeatedly without altering local opinion of the Runestone's legitimacy. The museum contains many interesting artifacts of metal origin from Europe found in North America to buttress the claim of the rocks Viking authenticity, Still it is known that the stone age native Americans had vast trading networks across the continents in all sorts of items. This doubtless explains the metal axes reaching the interior of the continent from the north Atlantic islands and coast. True or not the thousands of Scandinavians who settled in Minnesota must have taken pride in thinking their ancestors had “discovered” America long before Columbus. Back aboard our bus after the impressive museum visit our guide took a vote on what we saw. Did the Vikings truly visit Minnesota via Hudson Bay and rivers of the North in the early 14th century? Thirty three said yes and 7 doubters said no, including Mr. and Mrs. Troutbirder. Mmmmmm. And just now reading the Minneapolis Star and Tribune it seems a new musical has opened “ The Ohman Stone.” According to the paper “ It’s a new musical premiering Saturday in the Minnesota Fringe Festival, that does the one thing you wouldn’t expect from a story about the Kensington Runestone. It takes it seriously. The Minnesota icon, housed in an Alexandria museum, is a fake. Probably. Well, who knows? The notion of knights gallivanting about the Minnesota prairie 130 years before Columbus landed in the Bahamas, as the runes carved into the stone suggest, is a Monty Python movie — not plausible history. Right? 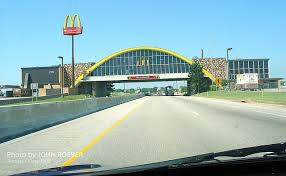 Last week we took a bus trip tour back in time to North Dakota. To be exact we checked out Theodore Roosevelt’s ranch in the Bad Lands, visited George Armstrong Custer’s home at his last post in Fort Lincoln and looked down on the Missouri River from the Mandan Villages where Lewis and Clark wintered on their epic journey more than two hundred years ago. More on all this and the Medora cowboy musical when I get my pictures organized. 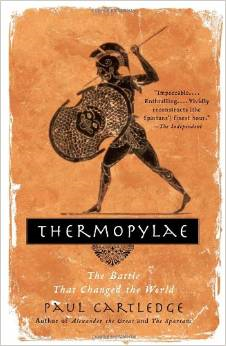 And going even further back in time I brought my Nook reader on the bus where in 480 B.C., the mighty Persian king Xerxes led a massive force to the narrow mountain pass called Thermopylae, anticipating no significant resistance in his bid to conquer Greece and perhaps The West entire. But the Greeks, led by Leonidas and a small army of Spartan warriors and allies, had taken the battle to the Persians and nearly halted their advance. At this angle of the rock wall on Cemetery Ridge the Rebels made their furthest advance at Gettysburg. 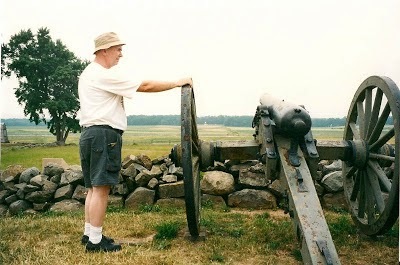 It’s called the "high water mark of the Confederacy" In the picture below a touristy history teacher and battery commander from the loyal frontier state of Minnesota prepares to hurl Lee’s troops back with cannon fire. Well no... Not exactly. It wasn't the "high water mark of the Confederacy" at Gettysburg but the water was definitely high on the South Branch of the Root River in Minnesota. My first trout fishing of the spring turned out to be a real challenge. Our local limestone, spring fed trout streams, here in Bluff Country, have been low for at least a decade. The ground water reservoirs definitely needed recharging. It hasn't been severe drought conditions, and farming has been okay, but streams levels by mid-May have looked more like mid-August. After a few years what looks like abnormal becomes normal. Thus, to my surprise, when I entered my regular stream crossing point, where Mr. Farmer drives his tractor to reach a corn field, I was quickly waist deep and having trouble keeping my balance. The water was crystal clear (not flooding) but another step or two and I would have been up to my armpits and about to float away. Not good. At this point, I thought of my collapsible wading stick, which was tucked away safely in the garage, waiting for the next trip to the blue ribbon trout streams of Montana. The powerful flows of rivers like the Madison, the Gallatin, the Bitterroot, etc. make it a necessity. I never thought I would need it here. 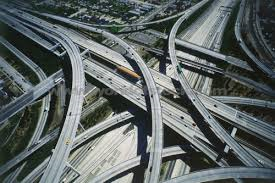 A few decades ago I would have tried to find another point to cross but not anymore. As a matter of fact, I had delayed going fishing for several weeks because this spring had featured snow storms, sleet, drenching rains and generally miserable weather. 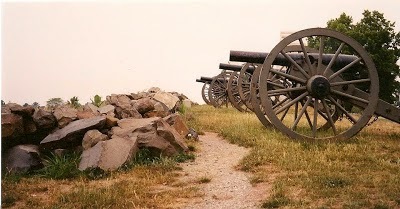 I had curled up with some good biographies and Civil War histories and waited things out. On this warm and sunny spring day discretion proved to be the better part of valor. I wandered down along the bank looking for a comfortable place to sit. Finding it I had dangled my feet over the edge I had looked around. 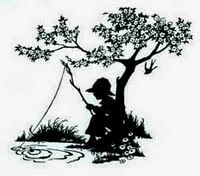 Hmmm.Well, I could have pretended I was back on the farm ponds of my youth, trusty cane pole in hand dangling a bobber and worm. 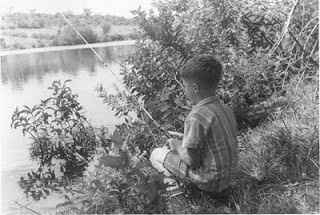 Then, I began to fish, dangling my fly below me and letting it drift along the bank.Not expecting much to happen I watched the little birds flitting among the brush on the other side. Flashes of yellow and black. Olive greens and black. "Warblers" I thought. What kind? I had known all through my years of stream fishing that warblers loved stream edges. 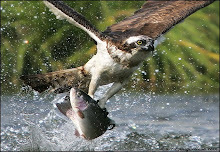 They could often be seen darting above the water during the insect hatches. Now, I needed to know what kind they were. At the very least add a few to my slowly growing "life list." It was not to be and I strained to catch some "field marks." It was impossible without my binoculars. This was turning out to be a very frustrating day. At that moment, I saw my first rise. Then another and another. I switched to a dry and watched it float right into the mouth of a rising brown. Within fifteen minutes I had my limit of 10 to 12 inchers. Yes, I keep them that size for the grill. Catch and release for anything larger. High water fishing was marked very good that day. 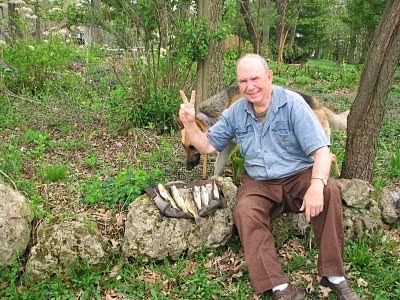 We had grilled trout that evening for dinner. Then I went back to reading the great Shelby Foote on the Civil War. 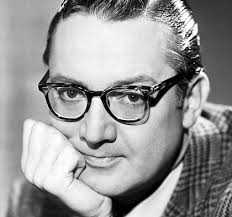 One of the true stars of television’s Golden Age in the fifties, Steve Allen founded the Tonight Show, wrote music and books and was one of the best comedians of the era. In more recent decades Allen became increasingly disturbed by the entertainment industry's declining cultural standards and "the general ugliness and immorality of much of popular culture." He acted on that opinion in letters, lectures and articles. In Vulgarians At The Gate he gives us a variety of examples and evidence to back up his view. He puts the blame directly on TV writers, programmers, performers, network executives and corporate giants whose lust for ratings and money seems to know no bounds This includes their targeting of children. He shows particular scorn for those "family-friendly" sponsors responsible for sending prime-time "depravity into the home" and the violence in children's programming. changed our country BIG TIME. 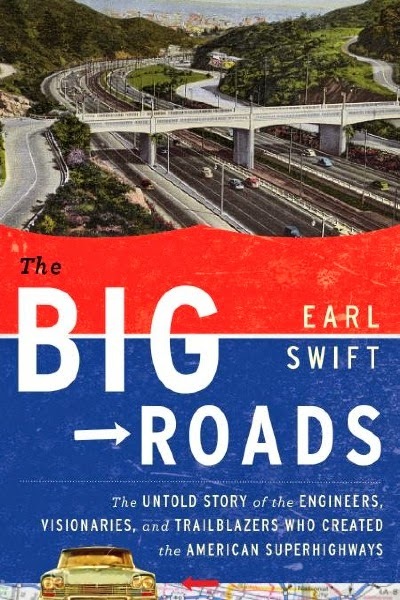 Swifts book The Big Roads tells how it all happened from the first cars and roads to the present and some real surprises along the way. Being a wordy former history teacher, I’m very conscious in my blogging of not becoming too verbose. That’s where Mrs. T. (the former English teacher) comes in. Barb not only edits for me when I demonstrate my grammar ineptitude but also provides the pictures that beautifully define what I'm trying to say. 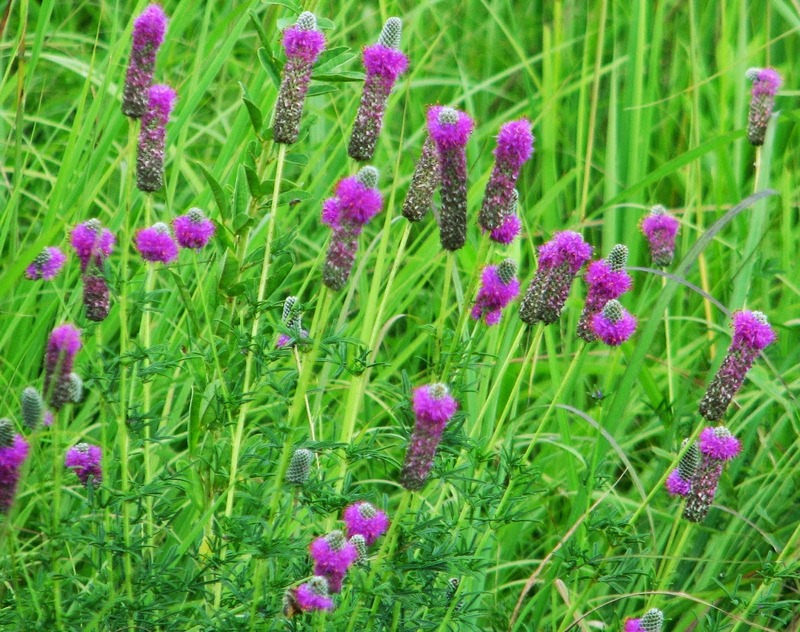 The out of focus photos are usually mine…. Scarlet Tanagers may be common elsewhere but definitely not here in southeastern Minnesota. As a matter of fact I had only seen two in my life. The first was on our senior high school trip to Washington D.C. and specifically near George Washington’s tomb at Mt. Vernon. 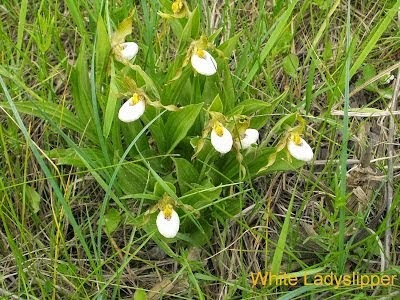 The other occurred during flyfishing in the spring on a local trout stream. So there I was this spring checking out the local horse camp at Forestville State Park not too far from our home in Spring Valley. In a wooded area a red and black bird landed on the gravel road right in front of me. Getting my little point and shoot camera out of its case and aimed gave Mr. Tanager time enough to mosey right toward me and out of sight with the hood of my truck blocking a view. Now what? A long sought opportunity to photograph a scarlet tanager stymied by the fact that he was apparently sitting beneath my truck. I decided to wait him out. And waited. And waited. Till finally two more flew across the road in front of me. Then two more followed to my right. Within five minutes five were putting on an aerial show all around me. Sitting in a truck with my little camera wasn’t really adequate for the task at hand but it was quite the thrill nevertheless. Very depressing. I was glad when I finally closed the book. Very over rated I thought. 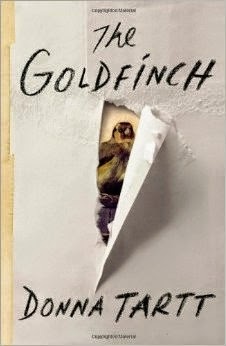 The Goldfinch was the saddest, most depressing book I have ever read. I mainly read for pleasure and entertainment but this book had neither. The writer went way overboard on the drug scenes and it makes me wonder about her knowledge of such a lifestyle. “A book like The Goldfinch doesn’t undo any clichés—it deals in them,” says Lorin Stein, editor of The Paris Review, perhaps the most prestigious literary journal in America. “It coats everything in a cozy patina of ‘literary’ gentility.” Who cares that Kakutani or King gave it the stamp of approval: “Nowadays, even The New York Times Book Review is afraid to say when a popular book is crap,” Stein says. No novel gets uniformly enthusiastic reviews, but the polarized responses to The Goldfinch lead to the long-debated questions: What makes a work literature, and who gets to decide? Yes. Well. There’s the challenge. Here in “flyover country” we know garbage when we see it and smell it. Its one thing, as Dickens did, to expose the cruel underside of society but conscience and morality in his novels offered redemption. This piece of garbage has none of that. For the author to propose a great work of art from the distant past as the beacon of hope, considering the low state of much of “modern art” today is silly at best and psycho-pop drivel at its worst. This book is not Dickensian. It’s a comic book for slumming adults. And I read it to the end hoping for something better. Stubborn me…..